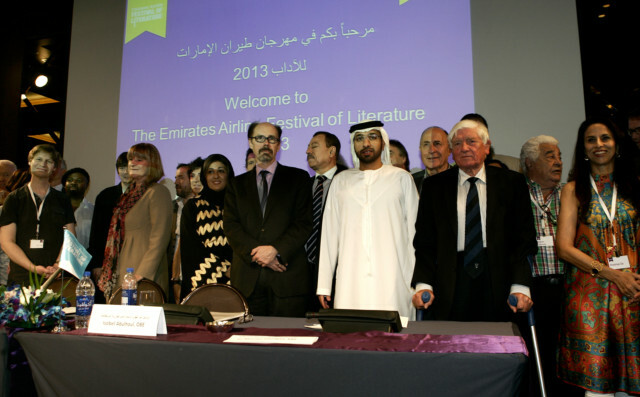 Dubai: One of the biggest literary events in the region, The Emirates Airline Festival of Literature, opened on Tuesday with a spectacular ceremony signalling the start of the five-day celebration of the written and spoken word. The festival, which is in its fifth edition, will run from March 5-9. The festival caters to every taste and age, as it has something for everybody, whether one is interested in literature, film, music, art, food, journalism and more. This year’s programme showcases 120 writers from 30 countries and serves a diversity of genres, topics and subject matter in some 200 events designed to provide entertainment and inspiration for all the family. The festival is held under the patronage of His Highness Shaikh Mohammad Bin Rashid Al Maktoum, UAE Vice-President and Prime Minister and Ruler of Dubai, in partnership with Emirates airline and the Dubai Culture & Arts Authority (Dubai Culture). Festival Director Isobel Abulhoul, OBE, said at a press conference on Tuesday that this year’s theme is “Heroes and Villains”. She announced that Shaikh Mohammad issued a decree on Monday creating the Emirates Literature Foundation “as a charitable institution that will keep literature alive in all its forms throughout the year”. The Foundation will be responsible for organising, managing and supervising the Emirates Airline Literature Festival on an annual basis, as well as attracting top world writers to enrich the event with their creative literary works. Best-selling author Jeffery Deaver said at the press conference that he considers himself an expert on the topic of literature festivals, as he travels all over the world to attend them. He said that “without doubt I can say that there is no better festival in the world than the Emirates Airline Festival of Literature”. He said that the success of this festival is due to a number of reasons including the fact that it is multicultural, multinational, multigenerational, multimedia and “multipurposeful”. He added that as he has written 35 books he is allowed to make up a word or two. Over 24 sessions, masterclasses and special events tickets have been sold out in record time this year, which is more than last year, which saw less than half the number of sell outs over the same period of time.